The open enrollment period for Medicare Advantage plans is happening right now. Here are 5 things to consider when enrolling or re-enrolling in a plan for CY2019. 1) It’s a best practice to review your coverage options before enrolling or re-enrolling: Even if you aren’t looking to move plans, medication and coverage details can still change year over year. Additionally, if your health status has changed, your existing plan may not provide adequate coverage based on your needs. For instance, some plans may not have your specialist in their network or new prescriptions aren’t covered by your current plan. Take the time to review your plan each year, calculate estimated out-of-pocket costs and review other plans to see if there are better options. 2) Now you can test drive a Medicare Advantage Plan for up to 3 months: Starting next year, Medicare beneficiaries will be able to try out Medicare Advantage plans for 3 months before fully committing. There is no penalty if you aren’t happy with the plan. 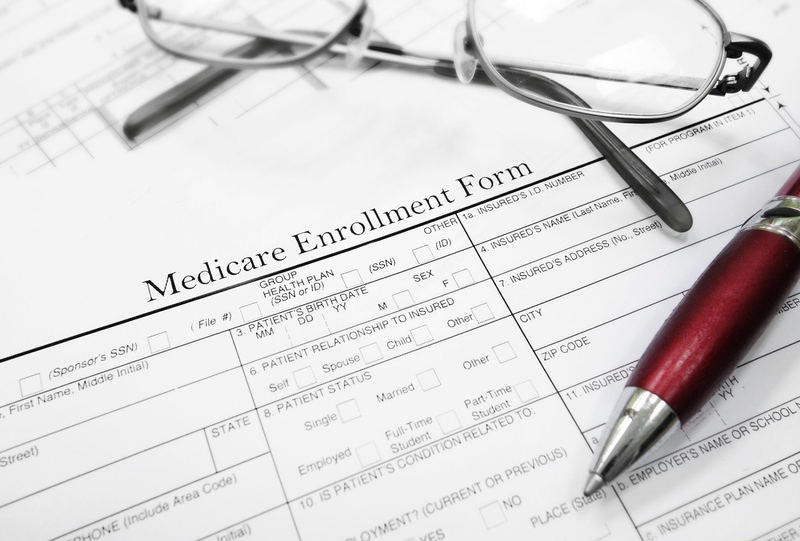 You’ll simply have the option to switch to a different Medicare Advantage Plan or you can opt for Original Medicare. This makes Medicare Advantage a lower-risk option and gives Seniors much more flexibility in deciding what works. 3) You’ll have several resources to help guide you in your decision: For 2019 Open Enrollment, the government’s Online Medicare Plan Finder Tool has a new look and is far easier to use. At Medicare.gov, you can find a plan that meets your needs by simply providing details like your zip code, current medications, and pharmacies. For each plan, the tool shows star ratings, deductibles, copays, premiums, estimated drug costs and benefits. Not only does Medicare.gov feature a wealth of information about plans, the website even helps beneficiaries access the expertise of licensed insurance agents. These professionals often have decades of experience when it comes to explaining coverage options and exploring plans based on your individual health needs. 4) Consider enrolling in plans that encourage value-based care: Many Medicare Advantage plans seek to move patients into care settings that operate under value-based reimbursement models rather than fee-for-service structures. With value-based models, MA plans reimburse providers on a per-patient, flat-fee basis, which pushes providers to assume full financial responsibility for their patients. This incentivizes providers to keep costs down by keeping patients healthy and out of the hospital. And data shows that this value-based approach works. JenCare Senior Medical Center provides “at risk” primary and specialty care for Seniors on Medicare Advantage. Because they are on the hook financially for patients, they seek to bring them in more often for preventative screenings. This model of more face-time leads to lower long-term costs and healthier patients. As reported in an American Journal of Medicine article, JenCare’s value-based model helped keep patients healthier and at 28% less cost than usual patient care. Moreover, their patients were 41% more likely to use preventative medications and enjoyed 9 times more physician face time compared to the national average. 5) Look for plans that seek to address the social determinants of health with supplementary benefits: In 2016, The Kaiser Foundation reported that the Median out of pocket costs of Medicare Advantage Plans are about 5% higher than regular Medicare Plans. Despite being slightly more expensive on the average, many Medicare Advantage Plans are stacked with supplementary benefits that beneficiaries should consider before making a final decision. For example, starting in 2019, many MA plans will include extra benefits such as dental, vision, hearing aids, gym memberships, meal deliveries and free transportation to and from healthcare facilities. We’ve even heard of MA plans that include in-home support benefits like light cleaning, household chores, even meal preparation — all at no extra cost. This is part of a larger movement in healthcare to address the “social determinants of health” or those factors outside of the health setting that can make up 70-80% of a person’s health outcomes. Transportation, for example, is the third leading cause of missed medical appointments in the U.S. but it's also a barrier to care that can be easily resolved with a covered transportation benefit. Clover Health, a national health insurance startup based out of San Francisco plans to offer benefits in 2019 that work to break down these care barriers and address factors outside of the care setting that can pre-determine a person’s health outcomes. “Many of our members suffer from multiple chronic diseases and visit their doctors multiple times a month, so access to reliable transportation is essential,” says Varsha Rao, Chief Operating Officer at Clover Health. “At Clover, we are focused on reducing the social and behavioral barriers people face in being healthy, and offering members a ride to the doctor when they need it is a big step in that direction.” Our advice for beneficiaries — know what plans offer these “quality of life” supplementary benefits and then be sure to take advantage of them. Want to read more about supplementary benefits? Read our blog post covering the CMS announcement from earlier this year which allows Medicare Advantage Plans to offer transportation as a covered supplementary benefit.